The heads of two leading trail book buyers have voiced disappointment at the recommendation for trail commissions to be removed, but suggested that it would not destroy the broking industry. The final report from the Royal Commission into Misconduct in the Banking, Superannuation and Financial Services Industry, which was released on Monday (4 February), recommended a ban on all commissions being paid by lenders to brokers. Following the release of the report, Treasurer Josh Frydenberg said that the government would be implementing all 76 recommendations. The government response to the report outlines that government would look to ban trail commissions in the broking industry for new loans from 1 July 2020 with a “further review” in three years on the implications of removing upfront commissions and moving to a borrower-pays remuneration structure. 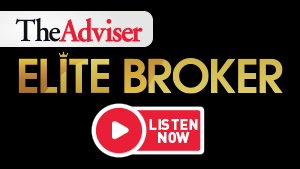 The recommended changes to broker remuneration have been met with outcry from the broking industry, with many voicing anger and disappointment at Commissioner Hayne’s suggestions. Speaking to The Adviser following the release of the report, the managing director of the Finance Brokers Association of Australia (FBAA), Peter White, said that the royal commission has failed to understand the role of mortgage brokers and the competitiveness they bring to the market. Mr White said that the abolition of trail “could force upfront commissions to rise in order to compensate for reduced revenues to brokerages, which in turn will lift interest rates and make housing affordability more difficult,” he explained. Speaking to The Adviser following the release of the report and government’s response, two leading trail book buyers urged for calm, suggesting that while brokers are rightly concerned with the recommendations, the industry could potentially survive the removal of trail. Nick Young, the head of trail book buyer Trail Homes, said that he thought the government decision to ban trail from next year was a “poor” one and would fundamentally change how the market values broking businesses. The head of Trail Homes said: “Currently, trail books are used as the main mechanism for valuing a mortgage broker’s business. Clearly, what they’re talking about, removing trail, means we will no longer be able to use that. “We’re talking about moving towards a much more transactional-based business, so it seems to me that any small to medium-sized business under this sort of scenario has little to no value if you throw forward into a scenario where there is no trail,” he said. “We would have to rethink how we value broking businesses,” Mr Young said. “For the extent that the industry can survive, there will be enormous consolidation and upheaval, rearrangements in business models, even the large [branded] brokerages of this world… will only make it work by well and truly revisiting their models,” he said. However, while Mr Young said that the abolition of trail would negatively impact the industry, he added that it would not decimate the industry like a consumer-paid fee model would. He told The Adviser that while he thought the move was a negative one, there was potential to “make it work” if trail were removed in isolation. “The commissioner is making a point that the current remuneration is conflicted, but removing trail is, to me, more of a conflict. It means that brokers would be incentivised to move their clients much more regularly,” he said. However, Mr Young said that such a system would not be devastating to the industry as “the industry can live on being paid a higher upfront commission”. Likewise, Jeff Zulman, managing director of TrailBlazer Finance, said that he had been inundated with calls from brokers concerned about the trail recommendation, but added that while “it’s no surprise that mortgage brokers are concerned, brokers needn’t panic”. Mr Zulman said: “Brokers can take comfort in the knowledge that our valuation methodologies have always focused on the value of the trail in force; with no presumption of new trail being earned after the valuation date. At times that conservatism may have seemed draconian; now it feels justified. The loan book buyer said that questions were being raised around what people would pay for a trail book moving forward. Currently, books sell for around 1.5 to 2 times their total, on average. Looking forward to a scenario where trail is potentially abolished, Mr Zulman said: “What multiple will people pay for that trail? That is a question of supply and demand. Market forces always trump theoretical valuations. “In the rising bull-market we experienced over the past few years, books often changed hands at premiums to valuation. This is no different to what we’ve seen in the property market. If there is panic selling, or a rush to exit, books may trade at a lower price for a while,” he said. However, Mr Zulman told The Adviser that until the Senate passes new laws, the recommendations are not binding. “Politicians can change their stance depending on constituent pressure (think Malcolm Turnbull and climate change); and with elections looming, we don’t even know which party will be in power, let alone what will be traded, as politicians wrangle to be elected. Mr Zulman concluded: “2019 is likely to be a challenging and scary time for many in our industry. And Australia may – depending on political manoeuvres – join most other countries in not paying trail commissions to brokers. While this could become our sad reality, it is not the end of the road for well-resourced and well-capitalised brokers.